The Marx Brothers were a team unique in the history of cinema. Which may have been a good thing, as two of them may have been too many. Like some other comedy teams, it’s occasionally a love it or hate it situation. Personally, I’ve never been fond of the Stooges, like certain of the Laurel & Hardy productions, but have always been a huge Marx Brothers fan. While their career in features ran from 1929 through 1949, a decent run in the film business, their truly legendary work was done for two studios. First Paramount, out of Astoria Studios in Queens, New York, for The Cocoanuts (1929), and Animal Crackers (1930), followed by their move west for Monkey Business (1931), Horse Feathers (1932), and finally Duck Soup (1933). They made their move to M-G-M, and greater budgets with which to work their lunacy, for A Night at the Opera (1936) and A Day at the Races (1937). A quick stop at RKO, yielded the less than stellar Room Service (1938), before a return to M-G-M for At the Circus (1939), Go West (1940), and The Big Store (1941), but for me, those have been also rans. So if one considers “prime” Marx as being seven films, you’ll get your basic education and their first five, in a beautifully created five film set from Universal, entitled the Silver Screen Collection. Before readers get too excited, these films has been restored as much as possible from surviving elements, and with the exception of some long very dupey sections in Cocoanuts, look better than I’ve ever seen them. But don’t be expecting something that appears to be a 4k scan of an OCN. It’s not happening, because it can’t happen. The original nitrates were destroyed decades ago, after heavy use, and those elements that have survived are occasionally akin to a patchwork quilt, especially The Cocoanuts. Let’s take a quick look at the five films. The Cocoanuts, is early sound, and it both looks as sound it. But it’s an early treasure. Based upon a stage play, it remains as a visual filmed stage play. When The Cocoanuts looks good, it can look very good for a film shot 87 years ago, and when it dupes hit, especially the more virulent variety… Just go with them and enjoy. For the second film in the collection, Animal Crackers, which was also based upon a stage musical, a duplicate negative was located at the BFI, which gets kudos for preserving it. One of the nice surprises, is that it includes over a minute of material censored for re-issue, which has not been seen since that time. Along with Margaret Dumont, the Marx stalwart, you’ll also experience Lillian Roth. Don’t know her? Look her up. Universal has done a beautiful job of hiding the problems, and the result of their work is to me, miraculous. Monkey Business was more problematic than Animal crackers. The image was harvested from a heavily shrunken fine grain master, that had it’s fill of warps, running scratches, tears and heavy dirt. Once again, Universal has used everything in their digital toolbox to eradicate the problems, and create a pleasant viewing experience. For a female lead, you’ll get Thelma Todd, who also appeared in Horse Feathers. Her death at age 29, in 1935, is still one of Hollywood’s unanswered questions. Horse Feathers, was another more problematic title, which survived as a duplicate fine grain, with sections of film movement, apparently from being copied from a heavily warped element. Sometimes digital tools work. Other times they don’t, and apparently attempts to solve the problem, create worse problems. A decision was made to leave it as it was, with which I heartily agree. One sequence still have censor cuts, and while a search was made, who knows what may turn up in the future. 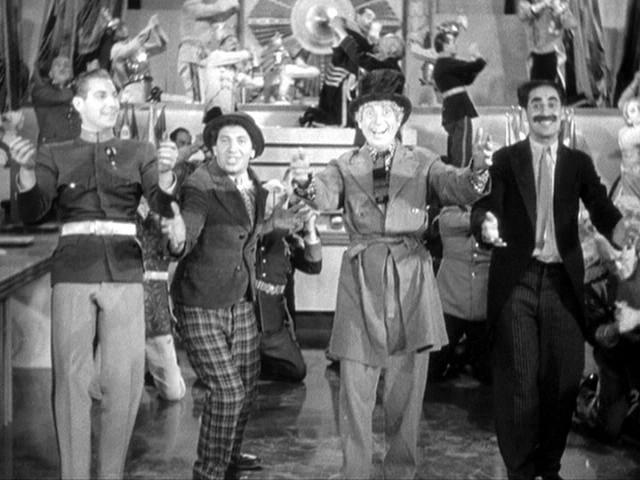 The final film in the series, Duck Soup, is visually the least problematic. Although, like the early films, it had major problems with scratches, dirt, processing streaking and stains, it all came down to using every took possible, on top of many, many man (and woman) hours. I’ve decided not to give a numerical grade to this collection, as it might frighten some people away, and negate their ability to experience some of the funniest films ever to hit the silver sheet. I applaud Universal’s work on these films. Want more classics from the studio? Support their efforts, and purchase this historic collection. It’s currently $50 for the set on Amazon, which also includes a myriad of quality extras. For those uninitiated, I’m jealous of what you’re about to experience. Now I'm looking forward to this collection even more. I pre-ordered this from Amazon.ca. Although it is supposed to be available tomorrow, they were not giving me a due date. When I sent them an inquiry they e-mailed me telling me that due to overwhelming demand it is on back order and orders will be filled on a first come first served basis. To me they are the kings of comedy and very happy Universal took the time to do their best to clean up the image & sound and release a nice Blu-ray box set. Hope Universal can do another Blu-ray set with the great comic W.C. Fields. Yep, Fields especially and Crosby/Hope should definitely be on Universal's agenda. I would really like to see The Cat and the Canary (1939) with Bob Hope and Paulette Goddard on blu. Animal Crackers […] One of the nice surprises, is that it includes over a minute of material censored for re-issue, which has not been seen since that time. Horse Feathers […] One sequence still have censor cuts, and while a search was made, who knows what may turn up in the future. Are you referring to the re-issue from the early 70's? If so, it would be hard to imagine anything from the 30's being censored, what with "R" rated films already established throughout the country. It'll be fun to see what that one-minute lends. And I'll bet it's a Groucho line, too. Are you able to say what was censored? So many thanks to Universal. My notice says it's arriving today. Please report in and give us your take. I'll be foregoing the sales; the price is already more than fair and I want to support Universal ASAP for their efforts. Both films were made before the Production Code came into effect in the early thirties, and the cuts were made for reissues later in the decade, not the 1970's. One censored moment that's restored is a fanny slap. One might expect Abbott and Costello to be more of a priority for Universal. They were actually Universal stars rather than part of the purchased Paramount package. So figured WB is watching the sales for this collection, sooooooo I ordered three additional today to give to friends in hopes that it will open WB eyes. Yes I know three more won't make a huge difference but I mean, get it to move a notch. Bring in the MGM Marx Bros.
That was exactly my thought. Universal floated a trial balloon for the boys with Buck Privates (along with their first monster meeting), but it must not have sold well since there were no follow-ups. But they only released Buck Privates and Meet Frankenstein not much of a test. These films need to be released in sets for increased sales. I don't think the Marx Brothers titles would sell that well if released individually for $20.00 each. Released in a set the Marx brothers films are a no brainer because of the low cost. Abbott and Costello sold very well on DVD in sets. WC Fields didn't sell that well so I can't imagine them even considering Fields on Blu Ray before Abbott and Costello. After all they did save the studio from Bankruptcy in the 40's. Third time buying these 5 movies. Will buy the others if they show up on blu too. I suspect there are a lot of us who have done what you did insofar as buying Marx Bros. films on video. I also had some of them (but not all) on laserdisc. Why would you keep the DVDs etc. after you have upgraded? I have owned each of those same sets, but sold each as I upgraded. Hopefully this is the last time I will be buying these films. I would love to see the other Marx Brothers films in my collection get the same treatment as Universal gave these 5 films. The DVD's of A Night in Casablanca, A Day at the Races, and A Night at the Opera need a quality BD release. I received my set yesterday. The package is very handsome, with a nice booklet and essay. I watched Monkey Business last night, and was very impressed with both the picture and sound quality. Well done! "I should have mail it to the Marx Brothers." I have to admit I'm of the uninitiated. I've seen clips of the Marx Brothers and I well know who they are. I've probably seen most of some of the films on TV as a kid. But I never got into them and I don't know the plots of any of the films. I was more exposed to The Three Stooges. And to a much lesser degree, Laurel and Hardy. I'm very curious to sit and watch this set. So once I finish viewing Cary Grant's lessor known filmography, this could be one of the next series of films. To loan. I don't loan stuff often but if I upgrade will usually loan the older copy. If it comes back damaged, or not at all, I don't feel as much anxiety. Of course if it *does* return in lesser condition than when it was loaned that person is off the "People I'll loan to" list. Are the original aspect ratios respected? I understand that the image in both Cocoanuts and Animal Crackers should be narrower than 1,33:1. I understand that this won't make the films any funnier, but if we're talking about a restoration, it seems pointless to have the films cleaned up and then mutilate the framing. 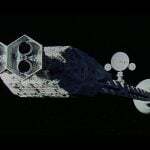 The ability to work with aspect ratios is dependent upon original elements. I watched The Cocoanuts last night. I can't help but notice that Robert continues to spell The Cocoanuts without the "A"
Just makes me chuckle a little. I watched The Cocoanuts last night. I didn't break out a tape measure, but the AR was definitely closer to square than 4:3. That's an early sound aspect ratio. I've heard it called Newsreel aspect before. That's the way we were taught to spell it in Sister Ruth's cinema study class at the convent in Mopu. Strangely, she always seemed to confuse Florey with Flaherty, and thought Coconuts, aka Cocoanuts, was an ehthnograpic film. As all of her students were aware that she was slightly "off," we never corrected her. For the sake of perpetual clarity, I have made the change. Please do not tell Sister Ruth! Angu Ayah, although resentful, also did what she was told by Sister Ruth in these matters. I just got my set on Friday and watched The Cocoanuts last night. They did a fine job with the restoration, considering the circumstances. The musical elements slowed things down, but when they boys were doing their thing, it was pure magic. I found one nitpicky error in one of the commentaries, but I'm too otherwise in awe of this release to be such a fusspot about it. ANIMAL CRACKERS looks visually as slick as much later Marx movies. What a gorgeous print! By the way, call me crazy, but the print is so clear that I swear in a long shot that's a Harpo stand-in (with darker wig) hiding in a fireplace (?) when Roth appears on a floor above, near the end. I loved the set, but did anybody else think they just blew off upgrading the "Duck Soup" transfer. It was the least improved film of the set. I have only watched "The Coconuts" so far, but I'd like to point out one valuable feature of this set. I rarely have the time to watch an entire film from start to finish, and I often have multiple DVDs or Blu Rays on the go at the same time. With this set, unlike many other Blu Rays I have, you can stop after watching for a time, and then come back hours later, and it asks you if you would like to resume where you left off. This is something every DVD has, but it is rather rare with Blu Rays. I actually keep a pad and pen beside my televisions, so I can jot down the count and chapter before I shut off the machines. This and the length it takes to load some Blu Rays are the two big draw backs of this format. I can not think of one Blu-ray I have that does not have this feature and I have about 2,000 Blu-rays. I always was under the impression it was a feature on the Blu-ray player. I have 1000s of Blu Rays as well and 5 Blu Ray players. Only a fraction of the discs have this feature. I recently purchased and watched, I think it was X Men civil war, and again I had to find my spot each time. I have seen this "defect" discussed on many other sites. Some discs will allow you to pick up where you left off if you do not remove the disc from the player, but you lose your place once the disc is removed. I had this happen just yesterday with Salem's Lot. We watched the first half of the film on Monday night, and when I turned the player on yesterday to watch Monkey Business the player had a message stating to press "play" to resume where I left off. I removed the disc, inserted the Marx Brothers disc, and when I put Salem's Lot back in afterwards the disc reacted as if I had never watched it, loading the main menu. I can put in a disc that I haven't looked at for months and it asks do I wish to resume where I left off. I have noticed if I erase the saved data in the Blu-ray player it I'll not offer to resume. There's an interesting anomaly at play here. If one is viewing a disc, remove it from the player, and replace with a different disc, authored by the same post house, that second disc will presume its the first, and the resume function will appear. I only get that with a handful of discs with my Panasonic player. My OPPO player seems to offer this feature all the time, whether or not the disc was left in the machine or not. The Marx Brothers set is the first time I have seen this feature offered on the Blu-Ray disc itself (at the bottom of the screen over the Universal logo), rather than a feature of the OPPO player. 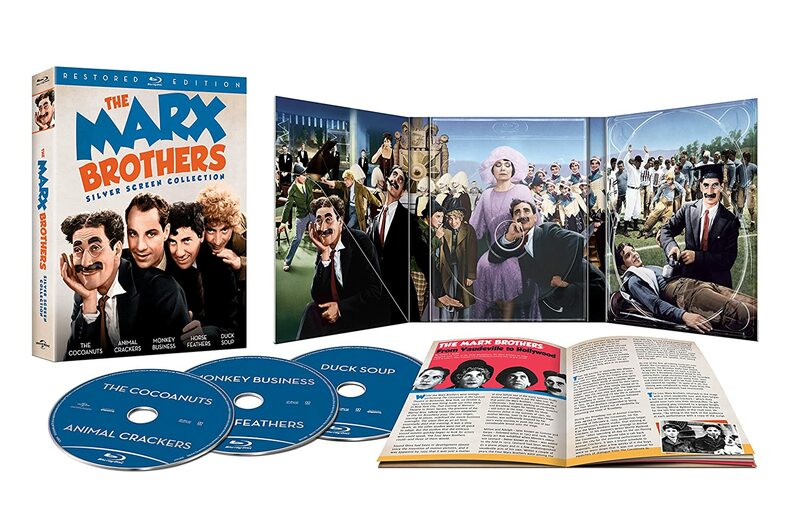 […] The Marx Brothers set is the first time I have seen this feature offered on the Blu-Ray disc itself (at the bottom of the screen over the Universal logo), rather than a feature of the OPPO player. Wasn't OPPO the original player later to be replaced by Zeppo? Please keep in mind that as I type this, I'm a late newcomer to the Universal Blu-ray screensaver! I can't even pause my Universal Frankenstein Blu-ray Discs on my external Pioneer BD Drive without the screensaver popping up! I find this a pretty huge annoyance, as the Leawo Blu-ray player interface that I use is already wonky enough without having to press menu to bring back a menu screen that routinely flickers severely for about 2 minutes before it "calms" down, so to speak! The flicker is an issue that I have with my free Leawo Blu-ray Player, in which EVERY title I play is affected for up to two minutes after I put in whatever disc, and the annoying (To me!) Universal screensaver only adds to my frustration! …Why are screensavers of any kind even deemed necessary in 2016? Can't flat-screens of all different kinds (LCD; LED; Plasma; et al!) handle having the same image displayed for hours on end without the dreaded image burn that used to be a serious issue with the old CRT Televisions? Everything can suffer from burn-in. While less of an issue than it once was with CRT, especially rear-projection CRT, Plasma and OLED are still susceptible to permanent ghost images from uneven wear. LCD doesn't behave the same way, but it's possible to get permanently "stuck" pixels by displaying fixed images for too long. So was was 1931 the change over year for 1.37:1 from 1.20:1? I have read that most of the silent fims were also 1.20:1 so that appears to have been the standard ratio pre 1931. First world problems, I know! I'm far from an expert, but I think the narrower ARs in early talkies were due to the manner in which optical soundtracks were added in those days. Vitaphone films were not affected as they used sound on disc, leaving the full frame free for the image. Others with more knowledge will chime in…. On Universal blu-rays, press the Enter button on your remote to cancel the screensaver. Getting back to The Marx Brothers…. I just opened this set the other day and started watching my first movie, Horsefeathers. I was not particularly happy with what has been done with that title and I'd like some feedback from Mr. Harris. As all of you who have seen this transfer can relate, the picture shakes uncontrollably for a good 5 minutes or more near the start of the film. I am no restorationist. It's impossible for me to make an argument with someone who is an expert in that field…. However, it doesn't make sense to me that something like that couldn't have been fixed. First of all, that problem never existed on any of the previous VHS or DVD releases as far as I can remember. Couldn't the studio have used an older master in those scenes that didn't have the shaking problem? They could have then fixed any scratches/dirt/etc. that existed in that print. Personally, I would rather have a less than stellar looking scene than one that shakes up and down. Secondly, isn't there a tool in the computer software to control shaking? Even iMovie on my Mac has some sort of image stabilization tool. It really looks bad. As I said, I have never seen this anomaly on any previous version of Horsefeathers. The film really is a mess during the scene inside Thelma Todd's apartment where the boys are coming in and out of the doors. Lots of cuts in dialogue that, again, I don't remember being missing in the earlier versions. I know these prints have been through hell. I am just wondering why Universal couldn't mix and match some of these prints to deal with image stabilization and cut dialogue issues. The stabilization tool locks each shot to a specific position, moving each frame wherever it needs to be. Viewing a an unmatted stabilized frame might be instructive, as the shot mustbthen be cropped on each axis, sometimes losing huge amounts of the image. I'll see if I can come up with an example to post. Even if they couldn't stabilize the shot, wouldn't it have been better to go with another print for those scenes and just do the additional needed cleanup? I don't know about the shaking at the beginning, since I am still watching the first disc in the set, but my understanding of the Thelma Todd scenes comes from discussions all over the Internet. It is very well known that this scene was in this state since the mid-1930s when the production code was enforced and the movie was re-released after being cut to conform to censorship rules. Apparently Universal did a world wide search and appealed to collectors, but the footage doesn't exist in its original form. If you have seen the uncut version, you are the only one since around 1936 who has and Universal will be VERY interested in talking to you! Universal wouldn't be interested in talking with me. Get back to us after you have seen this new Horsefeathers transfer. That shaking, as far as I remember, was never on the DVD or previous releases. There may be a margin of error here, but I am pretty confident in what I remember. Hmm I still have all the dvds if I have a chance Saturday I'll check. Horsefeathers has always been a mess. It was cut long ago and the missing bits made it really choppy, especially the paperhangers scene. I was hoping they would find a better element, but apparently one doesn't exist. Animal Crackers looks great though, and the non dupey bits of Cocoanuts are a revelation. Unfortunately, these films weren't babied. Hi Ron. I watched Horsefeathers last night (other than that, I've only watched Monkey Business thus far). I noticed the shaking, too, but I can't remember if it was there in previous editions. I donated the DVD set as soon as I ordered the blu-ray set, so I can't compare. However, I do remember all the cuts in Thelma's apartment scene from the DVD edition. They've never found a cleaner copy of that scene. One other thing I noticed, that I didn't during Monkey Business: the image seems much more "digital" in some scenes, by which I mean the grain seems to be hard and edgy. I'm guessing the software had problem resolving the grain due to the shaking, but I'll let expert weigh in on that. I just compared the 11-09-04 DVD Release of Horse Feathers to this BD Release and I don't see the Blu-ray having picture shakes like you described here. However, I did notice such shaking during the opening credits on the DVD Release. As to the Thelma Todd apartment sequence, both discs have the same jump cuts. This is back in stock at Barnes and Noble @ $40.90 and the coupon code F7V8H7U for 20% off (Thanks David!) is still valid. I just placed a order after cancelling my Amazon one (which was ~$42.25) with a final total of $35.50 (free shipping + tax). Everything can suffer from burn-in. Oh? I'm under the impression that my DLP television is immune. The PQ on Horse Feathers suffers from considerable shrinkage and instability. It always has, the scene where Harpo eludes the cop and lock him in the dog catcher's wagon is a mess; jittery and flawed as, alas, we are told it will always remain so. I don't know about this. I think something more could have – and should have been done. Being no expert, I don't know much about image stabilization. But this is practically unwatchable and for obvious reasons it breaks my heart to see it looking so poorly on Blu-ray. To a far less degree I see the same anomalies cropping up on Monkey Business and Duck Soup; hints of what appear to be edge enhancement, but I now suspect the same issue with shrinkage. Anyway, we knew this set was not going to be perfect. It isn't. We have to live with it. I'm having trouble living with it. But I don't have the luxury of hindsight or being an insider at Uni to have gone through the discussion phase of what's to be done and how to do it. Bottom line: despite what some have suggested herein, there's nothing wrong with your eyes, your TV or your Blu-ray player. It's the disc. Is it the mastering of the disc? Hmmmm. I should just stop being lazy and queue up the DVD to see if the problem exists there. I would almost bet anything it does not. At the rate they've been going this past year, it wouldn't surprise me to see a Fields set, at least. I wish you would as I like to confirm your opinion, but I just don't see the differences you noted between this BD release and the DVD disc. I just compared the Horsefeathers Blu-Ray to the DVD in the 2004 set. The same sections in both have the vertical jitter. It is just as bad on both? The jitter itself appears to be the same (going by what Robert Harris said at the top of this thread, it's apparently something baked into the surviving element) but the murkiness and softness of the DVD has a kind of masking effect that makes it seem somewhat less apparent. It probably got evened out as a process of the compression for DVD. They could have probably corrected it, but it would mean losing info at the edges of the screen. I beg to differ, but I'm going to compare the two discs again on another player and display. I am going to do the same later this morning. The jitter and edge-effect-like distortions are there in both the DVD and the Blu-ray, more noticeable on the Blu-ray because of the higher resolution and yes, Ron, it's heartbreaking. I don't see why there's confusion about this. Anyone with eyes can see it plainly for themselves and it afflicts a good six to eight minutes of the movie. From a purist's perspective I guess I'm 'glad' Uni didn't try to apply some heavy-handed stabilizing tool that would have caused information to be cropped along the sides, although, on the flip side, I sort of wish that they had, offering a branched version of the movie so that the viewer could decide for themselves which version they prefer. I can honestly say even on my 40 inch screen bedroom plasma it's irritating. Blown up to wall size on my projector set up it positively gives one a headache and is virtually unwatchable. Again, regrets. I am watching this for the first time on a 110" screen. That is why I am really noticing it, whereas on smaller screens I have watched this on over the years (some as large as only 15-19"), I never did. Perhaps that is the reason why I am not seeing what you are in this situation. Yesterday, I watched both discs on a 50" Panny Plasma sitting just 4 feet away and the jitters were only apparent to me during the opening credits and moreso on the DVD compared to the Blu-ray. Just moments ago, I watched both discs again, but on a 65" Panny Plasma sitting about 8-9 feet away from the screen. 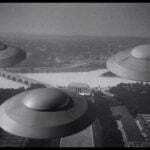 Once more, the jitters were more apparent on the DVD during the opening credit sequence. I viewed both discs up to the point in the film when Groucho and Zeppo are talking about football players at a speakeasy which is just passed the 8 minute mark of the film. At this point, I'm not arguing what others are seeing on their screens in their individual home theater setups. I'm just stating what I'm observing on my home theater setups. As far as being unwatchable as somebody stated, I don't agree with that assessment, but I respect those that share that opinion as to what they're seeing on their particular screens. The shaking is during the sequence where Harpo gets entangled with the cop who is issuing him a ticket on the street. Same sequence where Harpo locks the cop up in the dog cage. So you're not talking about the first minutes of the film? No. It's in the first scene with Harpo, on the street, with the cop who is issuing him a ticket. I'll take a look then as I was going by what you stated below in post #69. That scene is near the start of the film. I would say no more than 30 minutes in, but I can see how that could be misleading. Alright, I just viewed that particular Harpo scene on my 65" Panny. I observed some jitter on both discs during that particular scene. I can't distinguished which disc is worse when it comes to the jitter, but I would say the increased detail of the blu-ray makes that particular scene more pleasing to my eyes than the murkier DVD. Also, that particular scene is just passed the 19 minute mark of the film. Anyhow, I can see why those with larger screen scenes can be distracted by the jitter so I'll leave this discussion for now. DVD timings closely correspond, although I noticed that in the latter section, the jitter on the DVD begins during Harpo's harp solo, but is much steadier on the Blu, which doesn't begin jittering until the medium shot of Thelma Todd and David Landau inside her apartment. Have you tried standing in front of the TV and jumping quickly up and down during this section? I don't know if it was that one, but one of those Edgar Kennedy scenes was cut from the film when I was a kid. This might be the one that was cut and they pulled it from another print for the blu-ray. I just watched Animal Crackers last night and the print looked amazing! The boys are really on their game in this one. Lots of classic scenes for sure. So far my biggest complaints concern packaging. Why do distributors *still* put "premier" product in inferior digipak packaging? This would have been better in a standard multi-disc BR case – and would could have been just a bit thinner in the bargain. Then they go and put the "theft deterrent" mag strip thing *on the paper – covering some of the artwork/photo* of the pamphlet holder flap instead of on the plastic digipak part. Of course this means the paper gets damage, fortunately minor, during the removal of this junk. And then Universal adds their *modern* logo at the front of the films as if they had something to do with them other than being the distributor *today*! It's bad enough they put the warnings and a "how to use the popup menu" notices at the start of every film (with no scene menu making them easily skipped) but adding their logo just offends me. If there were a chapter stop *after* their logo but before the opening Paramount logo it'd be more acceptable, but there is no such courtesy! None of these are deal breakers but could have been easily avoided and, IMHO, would have made for a superior package had they been implemented. Since Universal owns all of the pre-1948 Paramount titles, I don't see any problem in them putting their logo at the head. It was Universal that did the restorations. I do agree about the packaging. It annoys me when Universal does this to their *own* properties. It offends me when they do it to non-Universal productions. I don't like their "modern" logo slapped onto the start of the Universal Monster films which they own. It wasn't there when those films were originally distributed and doesn't belong there now. It's only with their newer releases they've removed the chapter stop between the new logo and the start of the original film. IIRC, the new Universal Monster releases don't have chapter stops between the modern logo and original film start. And that's all I ask of distributors who have the arrogance to put their logo before the original film start – at least have the courtesy to put a chapter stop there so those of us who like to view things in a "original as possible" manner can skip them. Olive loves to put their logo at the head of the films they distribute (I don't think theirs have chapter stops either but it's been a while since I screened one of theirs and don't remember for sure). CBS puts their logo at the end of every TV episode or film short they distribute, even if they weren't involved in the original production (looking at you – Three Stooges Complete sets and the Paramount Star Trek series). While not as egregious as at the front it's still annoying and doesn't belong. To me, it's no different than when Black Hawk would put their credits on the "Our Gang" shorts, removing the originals. If they want to put their logo up when the disc first loads it's OK. That's what *most* distributors do. Those annoy me when they're unskippable but so many are that I've gotten into the habit of inserting a disc and going for drinks/snacks/ironing/etc. and come back when the menu's had time to load. OK… didn't mean to go off on a long rant but, to me, that alters the original product and is just wrong. It's bad enough they put the warnings and a "how to use the popup menu" notices at the start of every film (with no scene menu making them easily skipped) but adding their logo just offends me. I'm in total agreement here. When you hit "play," there should be nothing on screen but the damn movie! Put all your (pitiful and useless) FBI warnings and other crap ahead of "play, if you have to include it at all (Criterion doesn't!)." Those of us who enjoy presenting a theater-like experience for our invited guests are constantly thwarted by all this intrusive crap. Criterion doesn't put an FBI warning on their discs? Interesting. Never noticed. Yeah, the FBI warning bothers everyone. Someone at our last HTF asked Fox Home Entertainment President Mike Dunn about why that logo has to be placed there. He just kind of rolled his eyes and said something to the effect that he's heard that complaint too often and there are just too many reasons. Although I too hate the warnings put on front of films, the only defense I can give is that it's there to be seen. If anyone is caught copying and distributing studio titles, there is no way they can turn around and say they never saw the warning. At least, that is why I think the studios continue to make it an unavoidable presence. I believe Criterion and a couple of other companies place the FBI warning at the end of the presentation. I think it's WHV that has there in 20 different languages. I just received this today. Just from skimming, I'm really happy with the quality, especially on my 4K display. The jittery part of Horse Feathers looks blurred on the DVD, as if every few frames were blurred vertically. The screen on the dogcatching wagon is almost invisible on DVD, but you can see the chicken wire in perfect focus on the Blu-Ray. Even the "dupes from hell" parts of The Cocoanuts look surprisingly watchable. The films look way cleaner in terms of dirt and scratches, as well as stabilized for the most part. I was very pleasantly surprised at just how *clean* and clear Horse Feathers looks. Even the "jitter" on that segment is quite clear and clean – other than the jitter. And all that jitter looks vertical with not too much shifting which makes me think stabilization *could* have been done with little to no loss of image. If it *can* be fixed and *is* fixed and a replacement program put into place I'll get in line. But if nothing can be done I'm still quite happy with the overall results. Universal has done a bang up job on these restorations. Now WB needs to get off their duff and upgrade *their* collection of Marx Brothers films. It's likely Universal tried some stuff on the shrunken parts and found the result to look worse than leaving it alone. The bulk of the film, as well as the rest of the films are generally rock-steady. One amusing thing I noticed about how good the image looks is that you can see the drafting lines on the opening credits of Duck Soup. They're only faintly visible on the DVD. It also looks like they re-built the opening credits to Horse Feathers. On the DVD, the titles and the background ride around the frame at different rates, while they're locked together on the Blu-Ray. It's totally seamless. Hopefully this is a good seller and would encourage similar treatment for the W.C. Fields films, as others have stated. But I still am impressed by a lot of the quality and the films are wonderful, so the price was worth the still impressive they were able to do in my opinion. As long as the original presentation is in there I will be OK. I will be happy if it starts from a chapter stop. I will be extremely happy and supportive if there is an option to select just the original presentation (either per default or per choice) in a non-garish non-animated main menu (one can dream). I'm not sure about Animal Crackers, but I think Cocoanuts is definetely cropped, the main titles at the beggining of the movie seem to have the original aspect ratio. Could you confirm that it wasn't possible to scan this film in its original aspect ratio because of the available elements? Given that The Cocoanuts is from wildly different sources, it's possible the film can't be a consistent 1.19:1. The 16mm footage would definitely be 1.37:1 and already be heavily cropped from what would have been on 35mm. That is true, but what I am advocating is that they move these (completely ignored) warnings to the start-up of the disc, and not as part of "play." The audiences we share these films with have no interest in these goddamn warnings, and it just screws up the mood of the presentation. I saw The Cocoanuts on the big screen once, way back in 1974 at the height of the Marx Brothers revival frenzy. The print was a grainy, damaged, washed out mess with horrible sound! Watching it again, on this fantastic BD set, after a 42 year hiatus, I have come away with a new found appreciation for this minor gem. I finished watching the entire set last night, including the new documentary. This is a great example of careful restoration simply letting films be entertaining without distractions. It's amazing how once you get rid of a veil of dirt and scratches, stabilize the image, and carefully clean the sound… you can just sit back and enjoy the films. I remember being left cold by Animal Crackers when I saw the DVD, but I enjoyed it just as much as Horse Feathers and Duck Soup this time around. Also, turn up the volume at the very end of The Cocoanuts for an amusing flub from the musical director. I have a 65 inch plasma Panavision. Finished viewing the first 4 films. Loving this set so far. Images generally very stable until Horse Feathers tonight which was quite jumpy in the middle which drew me back to Mr. Harris's initial post with his round up on PQ. Next up Duck Soup. I hope a companion box comes out on HD with the rest of their films at some point. I have a new appreciation of the Marx Bros. groundbreaking work in comedy. Saw the 4 films for the first time in Blu-ray a few days ago and very happy with the image and sound and I did listen to the commentaries which were very informative. Surprised the trailers were not included. Just putting in my belated two-cents worth. I think its a miracle we have any of these films on BD. Based on old past readings before this BD set emerged, I was in mourning for the first 5 Marx Brothers films. And I guess we'll always be in a state of mourning for any of our classic films, to which the OCN's are no longer. But in the case of "The Coconuts", "Animal Crackers", "Monkey Business", "Horse Feathers" and "Duck Soup"? Anyway, I am only echoing what we – who already own this stupendous set of discs – have been saying all along. It's just simply a wonderful set; and I am grateful to all involved who salvaged and restored. I can't imagine anyone left, at this point, who is on the fence about owning this joyous package. But, if you are, then here is one more eyewitness account who says its high time that you gave yourself over to many evenings of laughter and social mayhem. I promise you, no matter what the fluctuating market prices may be, that these offerings are truly a treasure and a treat. 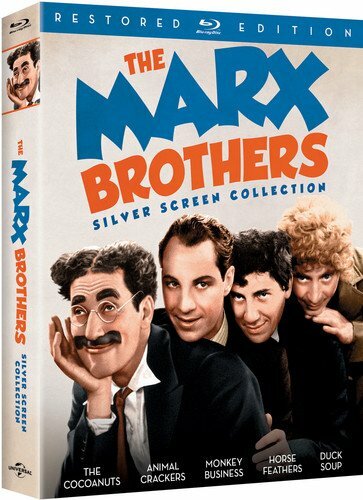 The UK is getting its own version of the US's Silver Screen Collection BD set, retitled The 4 Marx Brothers At Paramount 1929–1933. This time it's from Arrow Academy, rather than Universal, features all the same extras and initial pressings have an exclusive book. It's up for pre-order and is released on On 15 May 2017. The Marx Brothers, Chico, Groucho, Harpo and Zeppo are one of the cornerstones of American comedy. Starting out in vaudeville, they conquered Broadway and the big screen in their own inimitable style, at once innovative, irreverent, anarchic, physical, musical, ludicrous and hilarious. With the advent of the talkies , the Brothers signed to Paramount Pictures and brought their stage act to cinema audience. They made five films in five years, all of which are collected here: The Cocoanuts (1929), Animal Crackers (1930), Monkey Business (1931), Horse Feathers (1932) and one of the greatest comedies of all time, Duck Soup (1933). The Paramount era represents the Marx Brothers at their absolute finest, retaining all of the energy and controlled chaos of their stage shows. Plots are unimportant – it's the gags, set-pieces and one-liners that matter, eg "Why a duck? ", "Hello, I Must Be Going", "Hooray for Captain Spaulding", "That's the bunk! ", Horse Feathers' Swordfish scene and the classic mirror sequence in Duck Soup. A companion box would have to come from Warner Bros. Boy, that's some ugly artwork on that UK release! They look almost sinister! I like how they put "perfect bound" as if it's something special. That simply means a standard paperback. Still… it's a great set! I'm really hoping Warners steps up to remaster and release their Marx Brother's films on BR soon. I prefer the Universal films overall, but a couple of my favorites are from WB. A NIGHT AT THE OPERA, in my opinion, rivals DUCK SOUP as the best of their output. But, other than some embarrassing racial sequences, including a horrible musical number, in A DAY AT THE RACES, that film is quite funny and includes some classic routines. The RKO release ROOM SERVICE (1938), which is essentially a filmed play, is also pretty entertaining, as is the United Artists release of A NIGHT IN CASABLANCA (1946). The films between those two (AT THE CIRCUS, GO WEST, THE BIG STORE) are really just the Marx Bros. in serious decline. That pretty much echoes my opinion. The first Marx Brother's film I saw, at age 7 or 8, was A Night in Casablanca and I fell in love with them immediately! The scene where Harpo's leaning against the building, the cop comes over and asks "Whaddya think you're doing? Holding up the building? ", Harpo nodding yes, being sent away, and the wall collapsing cracks me up every time! I like the UKs packaging much more than ours in the US. The use of original advertising artwork is always a plus. I was watching Animal Crackers last night from this set and started to look around the internet to see if any news on Warner Brothers working on a Blu set of their own…or at least HD versions for TV. Has there been any news or whispers that anyone has heard? I just remembered – this was my high school yearbook quote. Most of the teachers got it; none of my classmates did. This set is currently $14.99 at Amazon. What a steal! For those who don't have it (and even mildly like the Marx Brothers), run to place an order! I remember shortly after getting my first DVD player as a Christmas present in 2000 getting the Image Entertainment Marx Bros. DVDs for $9.99 each and thinking that I was getting a score. How times change! How about paying $30 for your first blank Beta tape!? I love this Monty Python sketch. The only place I differ from it is the fact that mine is a true story. How about wanting to order and buy a pre-recorded tape of the movie Airplane in the 1980’s and being told it would cost about $200.00! Sorry, Terry, but that sketch (a favorite of mine, too) just popped into my mind when I read your post, so I couldn't resist. It's quite easy when they've not been widely shown in that time period. It pretty much takes someone "in the know" who enlightens you. Sadly, those people are few and far between. The majority of my pre-DVD viewings of Marx Brothers films was in the 60s. On "Movie of the Day/Week" or "Late Movie" type shows. Even then I'd go to school talking about them and get blank stares from the other kids. Or quote them and get "Huh? What? What are you talking about?" responses. I introduced them to my oldest grandson a few years back (he was 12/13 at the time). We watched all of them. He loved them, especially the word play and was blown away by Chico's and Harpo's musical ability. Of course you'll tell us what you think. I watched The Cocoanuts last night. I know it isn't considered one of their finest, but there were certainly moments in it that really made me laugh. Pretty much anything with Harpo was pure gold. I'm a Theatre person, so it was interesting to see what is essentially a straight filmed version of a late-1920's Broadway show. I'm hoping to work my way through the others this week. I'm completely sold on their talent. They really were remarkable entertainers. If you liked The Cocoanuts, you should enjoy the other 4 films even more. However, I thought the restoration work completed on The Cocoanuts was the most impressive since earlier versions didn't look that great. I'm hoping to work my way through the others this week. I'm completely sold on their talent. They really were remarkable entertainers. I first stumbled on them with a midnight broadcast of A Night At The Opera on WPIX in NY. I think they showed the colorized version, and I have this memory of turning off the color on the actual TV set after a couple minutes and enjoying their antics in black and white. From there, it didn't take long for me to rent as many of their other films from the local video stores as I could find. I'd say that Duck Soup and A Night At The Opera are my two favorites, but there's something worthwhile in each of their films. Even though their later films are still DVD-only from Warner, if you like the rest of the Universals that you have, I'd still recommend checking out the DVDs for the other films. Yeah, it's exactly as RAH originally said. When they had good sources, it looks pretty darned good. When they had to switch to dupe material, the picture is the best they could do with often terrible elements. 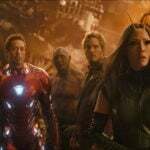 It's a stark reminder of how close the film was to being lost in its complete form. A couple of scenes are especially bad. Considering how many early films are completely lost, it's a miracle that they were able to do as good a job piecing it together as they did. I saw Indiana Jones and the Last Crusade on home video in 1990 when I was 11. Connery's Henry Jones character has a line about the Marx brothers, and that led to me asking my Dad who they were. I eventually saw Duck Soup a few years later, and was hooked. And that was how I learned of and became a Marx brothers fan. With Warner Archives just released Thing From Another World, 1951 out in the market now, is there any news at all on releasing the Warner Marx Brothers on Blu? It seems this may be the only route these movies can get released outside of the “old” DVD set. 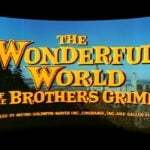 ITunes has at least two classic Brothers movies available in HD. I have both the WB and the Arrow set , I need to get rid of one , Which has the better PQ & SQ ? any screen caps posted anywhere , curious about the brighter ? I have never been able to find any caps to compare . You tell us! You're the person with both sets! There sealed , That's why I like to sell one and keep one . I see Arrow is releasing them separate now that the box set is sold out if anyone was interested . I maybe the only one but the artwork especially the spines are ugly as heck . I don't need a book and extras ehh. That maybe the one I sell , Takes less shelf space to keep the WB and a nice picture of groucho on the spine . I doubt there's any real difference in a/v despite Universal having DTS-HD MA 2.0 and Arrow having LPCM. Arrow is probably worth more for having the two David Cairns essays and the booklet, not to mention better artwork. One correction, it’s not a WB set, it’s a Universal set. WB did put out a DVD set of the MGM (and sole RKO) titles many years ago. Oops , Yup says Universal right on the box 🙂 , Thought it was WB for some reason . Love this packaging. Takes up a quarter of the space that WB's Marx box does (and where the hell is a Blu Ray of THAT?). In all fairness, Warner's DVD set is large simply because they used a standard DVD case for each title and was just those titles gathered together in a box. And I agree – just where *is* the Warner BR set? Maybe Warner Archive will come through as they've been rereleasing lots of catalog titles on BR through them lately. It *is* smaller than the original Paramount set, which also was a horrible digipak affair. I also don't like the Paramount BR packaging simply because of the use of a digipak. 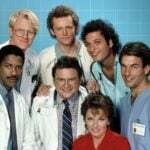 I much prefer standard multi-disc Viva cases. If it's a "premium" release then use multi-disc Viva cases and put them in a nice box. Previous Previous post: CBS MOD DVD for 2019?